Utility Renewals are widely regarded as one of the premier business energy; electricity and gas brokers & business telecoms suppliers in the UK. With more than a decade of experience in the utilities markets, they have perfectly positioned themselves to manage accounts for any type or size of business. The difference with Utility Renewals is that they manage their customers energy contract personally. Each customer is provided with a dedicated agent and a direct phone number to contact them at any time in business hours. 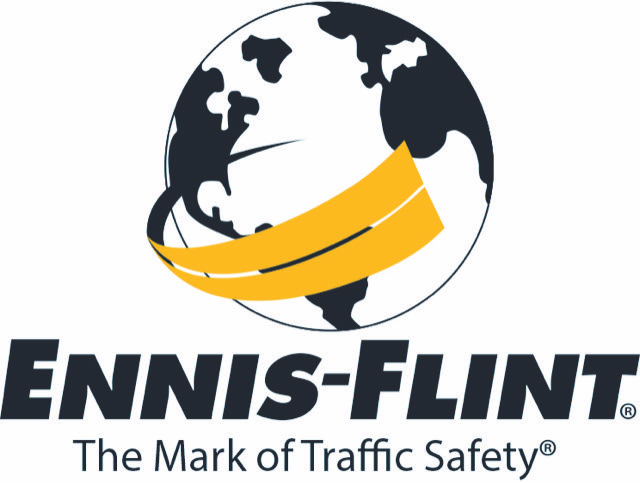 Ennis-Flint, Inc. is the worldwide leader in the traffic safety and road marking industry providing the most comprehensive lineup of road marking solutions on the market today. The EMEA (Europe, Middle East and Africa) headquarters, located in Chorley, United Kingdom, provides a range of products from traditional paints and thermoplastics to high-performance formulas and plural components for road marking and enhanced surface treatments. You can find Ennis-Flint, Inc. products on roads and highways, taxiways, runways, parking bays, playgrounds, school crossings and in all kinds of commercial, contractor, governmental, industrial, airport and architectural settings. Ennis-Flint, Inc. also has various other strategic world-wide sales locations that offer extensive product ranges in order to better assist motorists, cyclists, pilots, and pedestrians move in the right direction safely. We are playground markings installers. 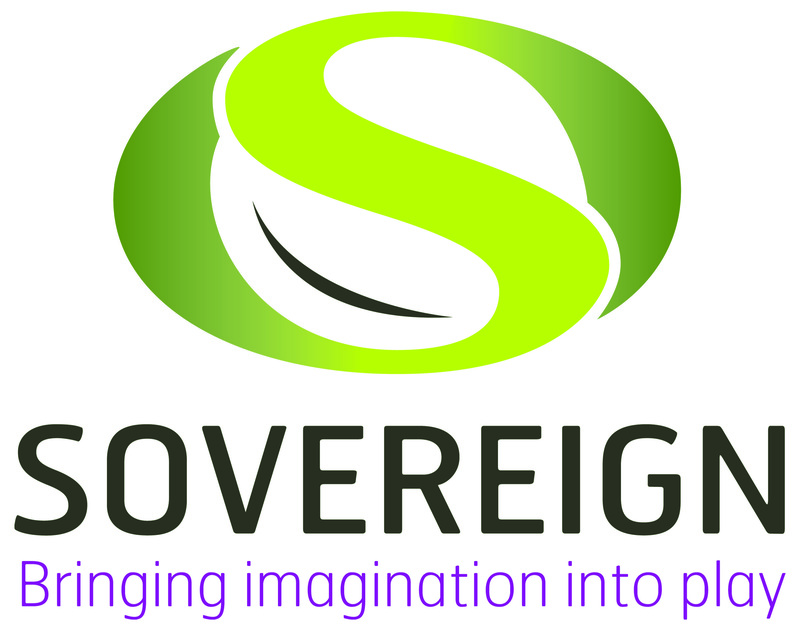 Our thermoplastic installation specialists have over 30 years experience in the School playground markings sector as well as the community play & Construction industry. We are an independent professional playground markings, car park markings and road markings company who take great pride in ensuring our customer experience is based on basic good old fashioned customer service. At XGreen Clean our customer service and complete care for our clients are second to non, we understand that every home or business is different therefore we tailor our Cleaning Services to suit your individual needs. Our Managerial team are made up of Ex-Service men of The Duke of Lancaster Regiment, you'll have peace of mind that deadlines will be promptly met whilst receiving military precision cleaning. XGreen Clean use only environmentally friendly and non-toxic products, ensuring our service is not only 1st class, but with a Green Clean Method throughout. We are a family run North West based professional commercial cleaning and domestic cleaning company, specialising in Brick Cleaning with Ex-Military Cleaning Professionals who pride themselves on quality of workmanship along with customer care and satisfaction. XGreen Clean carry out all our Cleaning Services with the up most professionalism, always striving to deliver above and beyond any of our competitors. Our services cover all aspects of Birck, Commercial & Domestic Cleaning. Bring your car to us for new tyres, tyre repairs and a makeover. Jewson offers professional advice, personal support and significant cost savings on materials and fittings. We provide a high quality service for both primary and secondary schools that will promote STEM subjects. With over 60 years of Engineering and 30 years of teaching experience, we are the link between industry and education enabling students to acquire the skills necessary for the workplace. We are one of the UK’s leading suppliers in fire alarms and fire alarm installation. Our mission is to provide a high quality, professional service when designing, maintaining, repairing and installing fire alarm systems. We offer packages that are tailored to suit you, your needs and your requirements! All of our maintenance and service agreements benefit from our 24 hour, 7 days a week emergency service at NO extra cost! GAP Distributions is a new department of our company that deals with the distribution and delivery of products and goods to clients and marketplaces across the world. We have built up a number of fantastic professional relationships with many companies over the years, and it was a natural progression for us to start working with them on a more dedicated level and to help them increase their business expansion. We work closely with a number of distributers and manufacturers of products around the world, and assist them with the distribution of their products, as well as offer products to various online retailers and ecommerce businesses. These products including everything from electrical items, mobile phones and accessories, clothing, jewellery, toys, furniture, sportswear and lots more. We pride ourselves on the quality of our work and we love meeting new people and developing new working relationships. We are an innovative and inspired company and one that is always keeping up with the current market trends. We are Specialists in Delivered Wholesale... From POS to planograms, merchandising and much much more. On 6th May 2010 I was elected as the Member of Parliament for Pendle. I hope that you will find this website a useful source of information about local issues, as well as what I am doing to represent you in Parliament. I pledge to work hard for everyone in the constituency, to stand up for local people, and to be a strong voice at Westminster for your concerns. Company Background We are a professional firm of accountants based in Colne in East Lancashire. We currently act for in excess of 400 small business clients, covering a wide variety of business types. We sweep all types of chimney and stove flues from the traditional using the time honoured rod and brush set, to the more modern flexible flue liner and even twinwall chimneys. The practice opened the first Solicitors Estate Agency in the area in 1988 and opened offices in Nelson and Colne in 1990 and 1992 respectively. Conveyancing and Estate Agency Services offered "under one roof". Selling services As both Solicitors and Estate Agents, Clifford Smith & Buchanan are in a position to offer a unique service to clients. Buying advice Buying a property can be extremely confusing. However, you can rest assured that our experienced and professional staff are not only acquainted fully with the local market, they have the benefit of the experienced legal team to draw upon. Welcome to Colne Car Centre, offering great value, quality used cars in Colne and the surrounding areas of Lancashire, including, Burnley, Nelson, Clitheroe, Accrington, Blackburn and the surrounding areas for over 40 years!! With an extensive range of hand picked, quality used cars featuring all makes and models, Colne Car Centre is proud and happy to provide the right car at the right price. If you can't find what you are looking for, just ask! With our specialist knowledge, we are able to source vehicles of all makes and models from a number of main franchised dealers. Get the best prices and widest choice of quality used cars in East Lancashire, contact us today for professional, friendly and personal service! We offer a wide range of services including Used Vehicle Sales, New Vehicle leasing and contract hire and a wide variety of Finance packages to suit your budget. (Subject to Status). We supply cars to people from all around the country. Delivery throughout the United Kingdom is available at very competitive rates. Don't hesitate to contact us if there are any questions we have left unanswered. Remember, we are only a 'phone call away!! Established more than 70 years ago, REM is a leading supplier of equipment to the salon, beauty and spa industries. The REM team of professionals create practical stylish products and when required complete salon looks from our design service. Since being established in 1989 we have been able to build relationships with many of the leading carpet and flooring suppliers, enabling us to have the ability to offer you top quality products at a fair price and with absolute confidence. Our ethos is based on delivering quality installations and unrivalled customer service (before and after sales). Located in Colne on boarder the of Lancashire & Yorkshire we are able to reach and carry out quality installations across both counties swiftly. We use our own team of expert fitters who are fully aware of the importance of getting your installation right the first time. At Inghams butchers, Colne, Lancashire, we pride ourselves on selling the finest quality meat you can buy, butchered and prepared to the highest standards, but sold at realistic Lancashire prices. Dewhurst Decorating Supplies is a family run business in Nelson, Lancashire, established in 1982 and remains the area's premier retailer and trade outlet of its kind, so rest assured that's a lot of experience. Engineering & Foundry Supplies offer a range of PPE equipment that will protect the user against health or safety risks at work. It include items such as safety helmets and hard hats, gloves, eye protection, high-visibility clothing, safety footwear and safety harnesses. Hearing protection and respiratory protective equipment are also available. We are also a major supplier of first aid supplies and first aid kits to industries. Trading Since 1972. Financial Affairs is an independent, family owned and operated insurance broker and financial advisery firm. Established in 1972, the aim was to provide bespoke insurance and financial solutions to personal, business and corporate entities. We have worked on the basis on building long term relationships across a wide range of sectors to ensure our clients get the best advice and service across all aspects of our business. Hargreaves Brown & Benson has a reputation for professionalism and utilises some of the latest technology for accounts production, business planning and bookkeeping services. Harvey Environmental is an award winning family business, established in 2001. Our team has over 160 years experience in the Pest Control and Washroom Services industries providing services and products to a range of commercial undertakings; from the very smallest to many international Blue Chip organisations. The team is headed up by Martin Harvey, who has sat on the British Pest Control Association Executive Board for many years and is the current President. Our Technicians are at the forefront of what they do. They are always up to date with the latest legislation and industry know how through our regular training regime and all of our staff are part of our the Basis PROMPT Continual Professional Development Scheme to ensure that your business is well protected, and so they serve you with the excellent customer service you would expect from a top quality company. We are a family-run Pharmacy, serving the community of East Lancashire and beyond since 1922. Our mission is to help the people of our community improve and maintain their health and wellbeing. Luvo Bookkeeping provides friendly and cost-effective bookkeeping services for Accountants, small businesses and sole traders. It is a legal requirement for all businesses to keep accurate records for both taxation and VAT purposes. We can help you with your records to ensure you have all the information to hand to allow you to get on with running your business. We use manual, excel spreadsheets or online icloud accounting packages to help you keep track of your business, have accurate up to date information to hand which allows you to make informed decisions about your business. We specialise in: Bookkeeping from manual cash books to iCloud services. VAT Returns. Accounts Preparation. Cash Flow Forecasting. Bank Reconciliations. Credit Control. Self-Assessment Tax Returns. We offer Free no-obligation quotations and a competitive hourly rate. We have proactive solutions and have responsive services. Quick and efficient communications. The Natural Health Directory offers information about Acupuncture, Sports Massage, and rehabilitation and an Eco-friendly online store and musculo-skeletal injury and rehabilitation shop. Regular Exercise is an essential part of any health and well being plan. Some of its many benefits include: reducing the risk of heart disease and stroke, reducing high blood pressure, improving cholesterol levels, stabilizing blood sugar levels, reducing anxiety levels, and reducing the likelihood of clinical depression. Traditional Chinese Medical Acupuncture has been prated for over 3000 years. Chinese culture promotes the use of Acupuncture to treat many illnesses and conditions but many use this medicine form as a means to maintain health through a holistic approach. Nowadays, we all like our homes to be warm, beautiful and energy efficient. That’s why Ocean Bathrooms Tiles and Heating Ltd are the company to meet your needs. Situated within the village of Colne, we have been providing bathroom and heating solutions for over 25years. Our large showroom at Keighley Road offers some of the largest selection of bathroom tiles and suites in the area. Call in to our showroom today to see for yourself. Looking for a wood burning or multi fuel stove? Fed up of rising fuel costs? Pendle Stoves are your number one experts servicing throughout Colne, Burnley and the North West. Offering you over 30 years of experience and unrivalled levels of knowledge, we will provide you with a professional, competitively priced service that is second to none for all the work you would like completing. 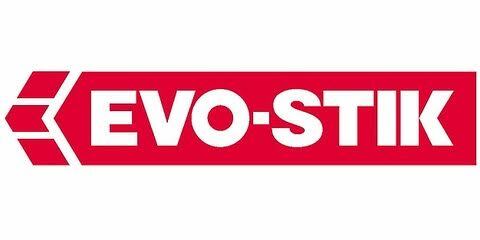 We are a well established wholesaler and online distributor of Electrical and Security products, operating from our locations across Yorkshire & Lancashire. We keep quality branded products in stock, offering the very best value and service, providing you - the customer, with everything you need at a competitive price. Our friendly, helpful and knowledgeable staff are available to assist and advise in product selection. You can call us on 0844 822 5785 or 01484 710739 or Text us your enquiry to 07484 031914 Once you've chosen your products and placed your order, we offer a range of express delivery options that will deliver your order to you, where you want it and when you want it, with a clear line of communication. With 180+ no contract gyms, most open 24 hours a day, you’re sure to find a PureGym that suits you. We love cars, teaching and road safety! RED is one of the largest driving schools in the UK and is arguably the most progressive (how’s that for bragging?!). But seriously, the reason why our School has become so successful is because we deliver great value for our customers. Most of our Instructors undertook their training with us (we are also one of the largest training schools for Instructors in the UK). We emphasise to all Instructors joining RED how important customer service is. We want our customers to be completely satisfied and when things do occasionally go wrong, we strive to sort things out quickly. Scruples Menswear is a family run business spanning through three generations from 25 to 55, with over 27 years of experience in menswear. Our purpose has always been to provide personal one to one service in a relaxed environment where every man can receive the time and attention he deserves when buying the best clothing money can buy. We have something for all ages and tastes in clothing. SM Bennett Creations was established in 2003 and we specialise in all aspects of building and stone work. Based in the North West of England, we are a small friendly firm with only your best interest at heart. SM Bennett cover a broad range of lifestyle design concepts. We can tailor work around our clients and pride ourselves on excellen customer service, great value and more importantly, fantastic style!